Not everybody understands the importance of First-Aid. A First Aider can most certainly save a life. There are a lot of people that might think that because it’s such a short and basic course that it might not be as comprehensive. The main idea of the first aider is to assist those in need as soon as possible. It often happens that due to the training and quick response, the first aider stabilises the patient long before further help arrives. If there are no first aiders around, it’s very possible that a serious patient might not survive until further help arrives. This is why it’s important to have decent first aid knowledge. Everybody should have some sort of first aid training. If you have children, you should be standing first in line to get the basics of medical attention. By knowing how to apply the basics, you can rest assured that if something unforeseen happens, you know what to do. There are no age limits; everybody can attend our training course. The course was designed with everybody in mind; it’s easy to understand and includes a lot of practical exercises. If you have adequate skills, you can treat from a minor scratch to a massive gunshot wound. You will be able to stop bleeding, prevent further neck and spinal injuries and even treat a broken leg. The idea acquiring this life skill is to make sure that you can stabilise a patient, and make them as comfortable as possible. It’s important to treat a person for side effects like shock. It’s basic actions that can save a life. By completing a comprehensive course, you will have the confidence to approach emergency scenes. 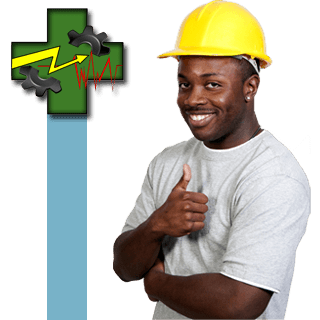 Our courses are HWSETA approved, and we are registered with the department of labour. According to the OHS Act of ’93 you need at least 1 first aider and one first aid box for every 50 employees. This, however, is not always advisable. If you have high risks or large floor space, we usually recommend getting at least 1 first aider for every department. You need to make sure that you have at least 1 first aider on every shift. This will ensure that your first aid team can be as effective as possible. 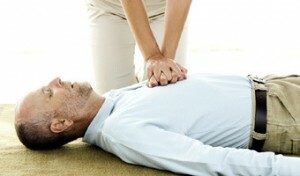 We provide first aid training from level 1 – 3. 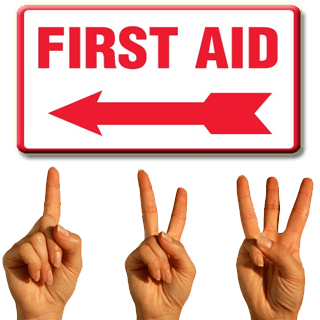 For most companies, level 1 first aid will be more than sufficient. This website is maintained by Life Aid cc. Life Aid cc provides comprehensive OHS services. This includes all the required training and safety services. We provide a nationwide service in South-Africa. We are extremely flexible and will do our best to accommodate your company. Should you require any other training or safety service, feel free to ask us. If we don’t provide it, we definitely have affiliates that will be able to assist you. We understand the importance of production in your company, so we do our best to fit into your schedule. There are no groups to big or too small. We can accommodate any size group. We can do on-site training to make it as comfortable for your company as possible. We are based in JHB but can travel to any location. Please complete our no obligation quote form anywhere on our website. We will contact you as soon as possible to give you more information. This website is brought to you by www.ThinkSafe.co.za a Life Aid cc initiative.